Four Dogs Praying Before Dinner Will Impress You! Yeah, yeah... we've seen people make their dogs pray for their food... but what these dogs do when they are done eating is really impressive. In the video, a poodle, a yellow lab and two golden retrievers, are praying before dinner and they clean up after themselves. Watch on the video below! Here's your daily dose of cuteness! 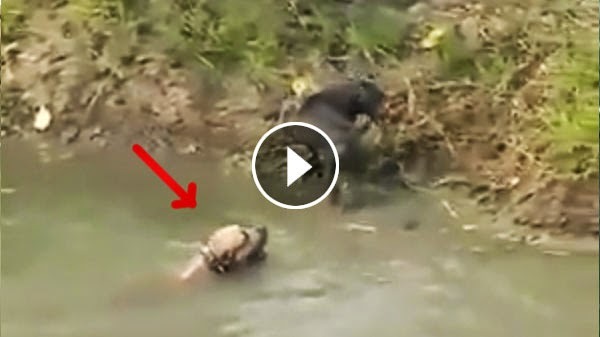 Awesome Dog backflip swimming and playing in water! In the video, a dog display an array of stunts jumping backwards into the mini pond. He seems enjoying and having the best time of his life. Watch below! This happy dog living life to the fullest will make you smile! 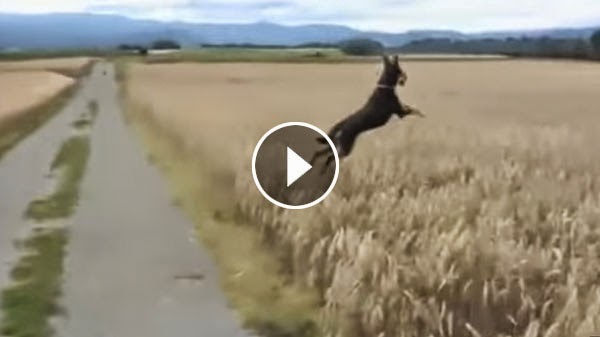 The world’s happiest dog, jumping in a wheat field, and living life to the fullest! Dogs are a member of the family and bring spirit and joy in our lives. Share this to your friends, they will like it! Tuna Tornado! 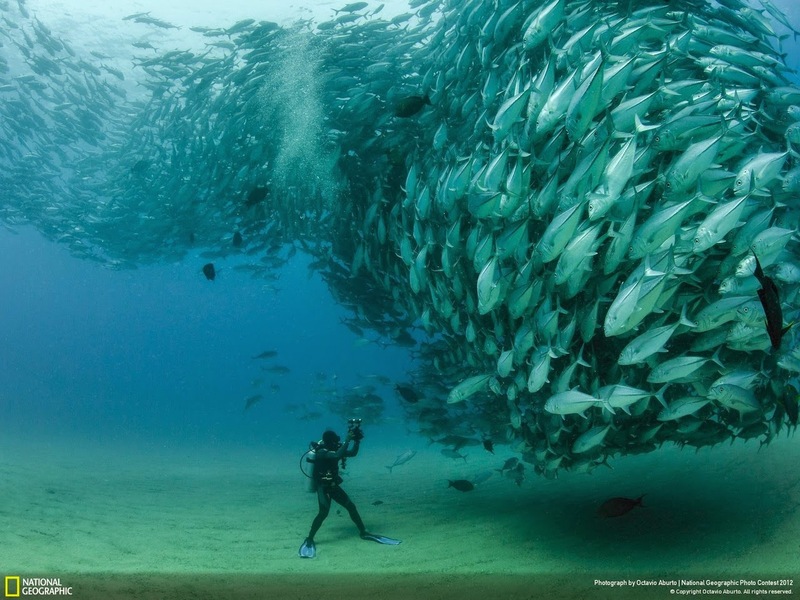 When photographer Octavio Aburto submitted this stunning image to National Geographic 2012 photo contest, many observers could not believe and ask for the authenticity of the image. To set the record straight, Octavio uploaded the behind the scenes of the widely shared photo which he dubbed as “David and Goliath,” watch below! 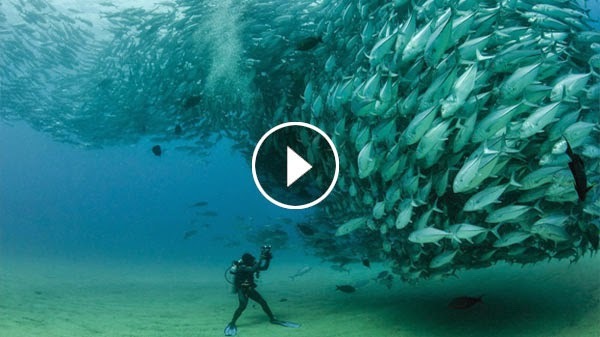 In the video, together with his friend David Castro, they encounter a large group of Bigeye travellies when they set off to dive at Cabo Pulmo National Park in Mexico. You probably like bunnies. How about hundreds of bunnies? 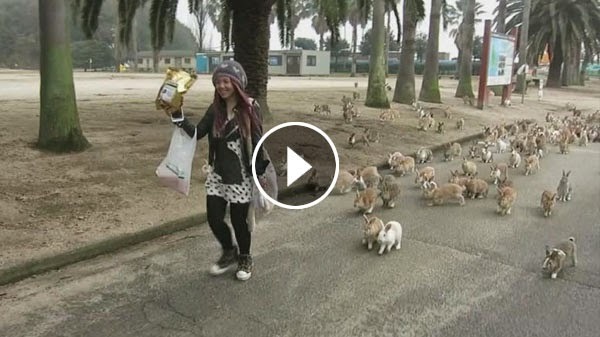 Watch this video showing a woman being chased by hundred of rabbits. A tourist from Hong Kong captures this amazing video at Okunoshima "Rabbit Island" in Japan. The island is home to thousands of bunnies that were introduced during WWII and quickly populated the island. Now tourists visit the island to see the rabbits and the cuteness. This will make you say WOW when you see how close this Shark got to shore! A 13 ft Great White Shark swam to close to the shore of Coronation beach Geraldton in Western Australia earlier this month. According to YouTube user CadMonkey, the shark seems sick or injured. She just then heard the news that the shark washed up on the beach two days later. Fisheries have reported that it is a male and had died due to a sea lion being stuck in its throat. 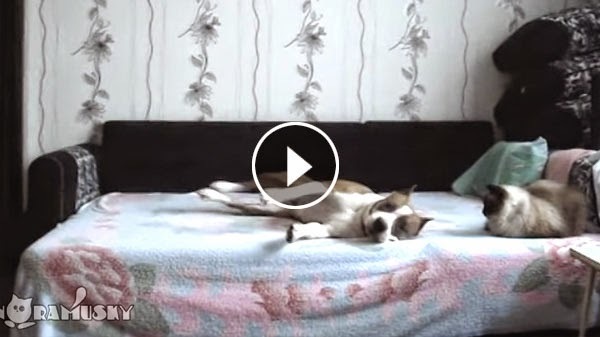 Dog not allowed on the bed, but hidden camera captures his defiance! Here's your daily dose of cuteness! Dog not allowed on the bed, but hidden camera captures his defiance! This dog is not allowed on the bed. So his owner installed a camera to check if what happens when the dog stays home alone. Rich and Laura Howard celebrated their 20th Wedding Anniversary in La Paz Mexico at Costa Baja Resort/Spa. 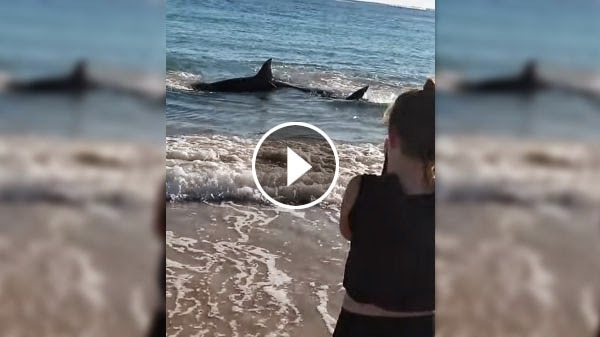 Their dive with the friendly resident sea lion colony was interrupted when whales dropped by. 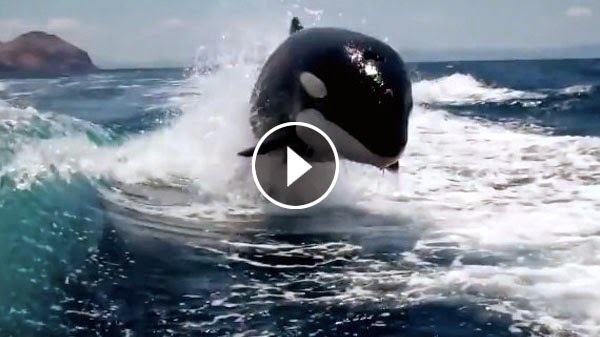 Watch the amazing video as these whales play “like dolphins” in the wake of their boat. Here’s your daily dose of cuteness! 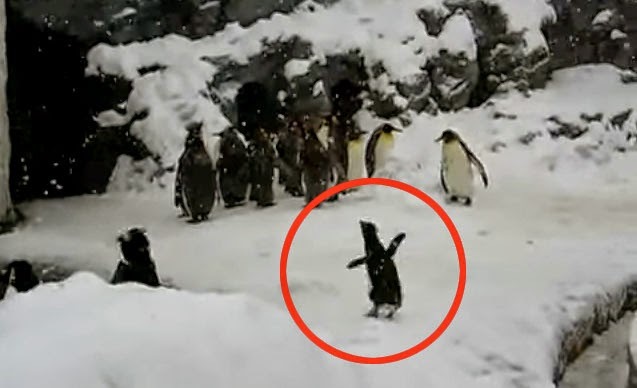 This baby penguin is the only one who really enjoys the snow. He is so happy that he could not stop dancing around with the soothing sounds of the holidays while all the others just stand still.